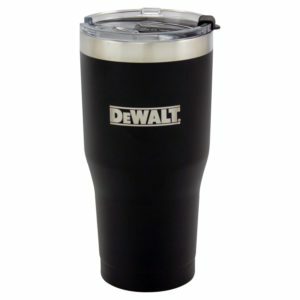 Keep everyone on the job hydrated with DEWALT 5 Gallon Water Coolers. 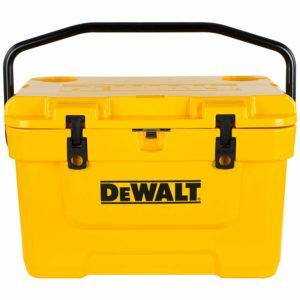 The lid features easy-open latches that are ultra-durable while providing secure closure to avoid spillage. You can also dispense liquids drip-free with the large push-button spout. Built-inside handles help you maintain a strong grip which allows for easy transportation from the back of the truck to the office or site. Lastly, non-slip feet ensure stability wherever you take your cooler. 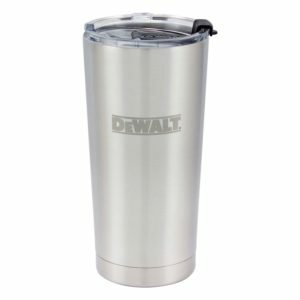 Inner lid design optimizes space for liquids and provides area to store optional ice packs (sold separately). 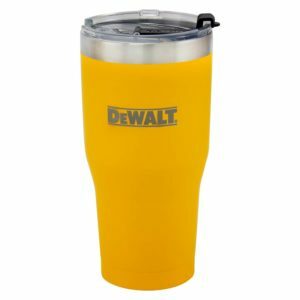 Available in one color: DEWALT Yellow. 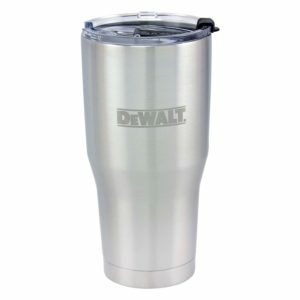 Powered by ice and guaranteed tough, the DEWALT 5 Gallon Water Cooler provides quick and refreshing breaks so the whole team can get back to work.